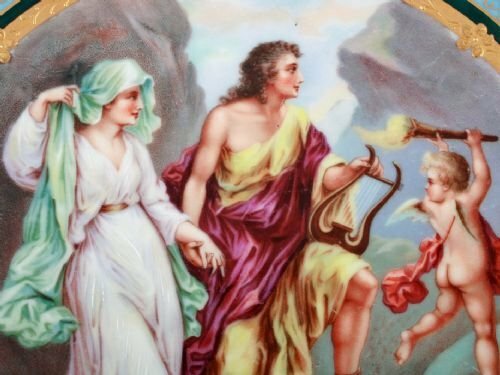 An early 20th century Austrian Royal Vienna porcelain wall plaque. 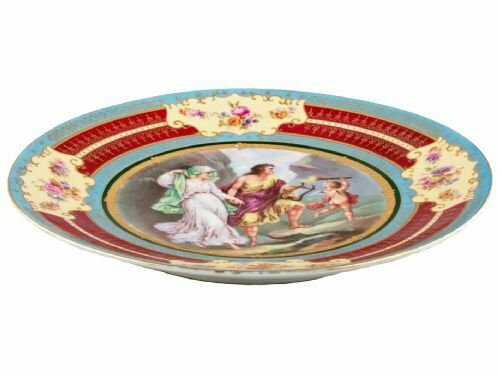 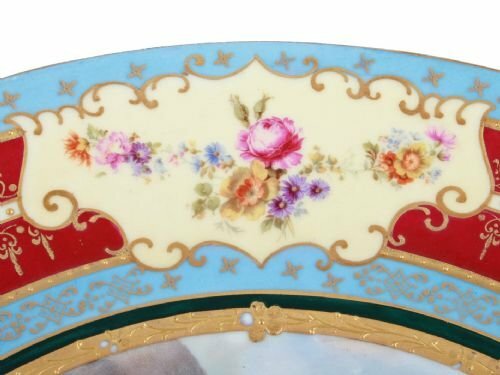 The plaque has a light blue background with a large transfer print of a classical scene in the centre, surrounded by gilt detail. 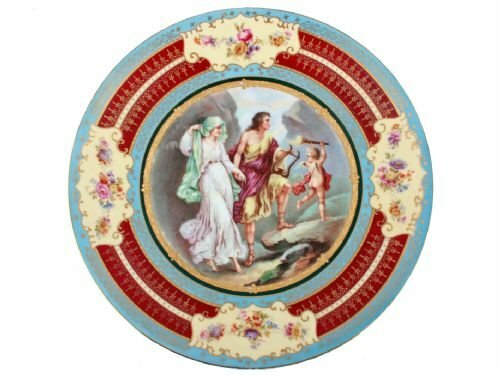 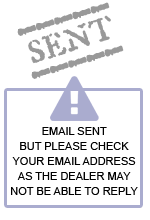 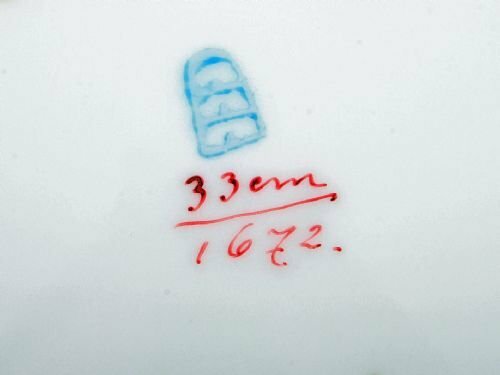 The Austrian Royal Vienna Porcelain Plaque has been added to your saved items.